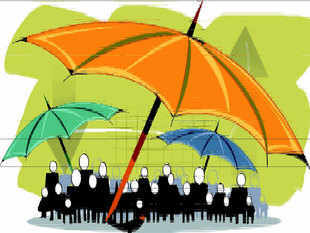 Government mulling 49% FDI in insurance sector via automatic route - Corporate Risks India Insurance Brokers Pvt. Ltd.
Government is considering a proposal to permit 49 per cent FDI through automatic approval route in the insurance sector with a view to attracting more overseas inflows. According to sources, the government could announce this decision in the forthcoming Budget as the move would help in improving ease of doing business also. “If IRDAI is looking at the proposal, RBI too is looking at and the management is in the hands of Indian then the government may do away with the FIPB approval route,” they said. At present, as many as 10 proposals, including that of ICICI Prudential Life, ICICI Lombard General Insurance and Aviva Life Insurance, are pending at different stages of clearances. There are 52 insurance companies operating in India, of which 24 are in the life insurance business and 28 in the general insurance. State-owned General Insurance Corporation (GIC), in addition, is the sole national reinsurer. In order to deepen the re-insurance market, IRDAI permitted UK-based Lloyds to set up business in India. Lloyds India will ensure that the market and the constituents are housed in one location for the conduct of reinsurance business. Foreign direct investment (FDI) in the country more than doubled to about $4.5 billion in December. The major sectors that attracted foreign inflows include computer software and hardware, trading, services, automobile and telecommunications. India receives maximum FDI from Singapore, Mauritius, the Netherlands and Japan. In 2014-15, foreign fund inflows grew 27 per cent to $30.93 billion as against $24.29 billion in 2013-14.